2011 has gone a long way for HTC. Coming off its whirlwind success in 2010, it came in strong and released a slew of interesting products that included some new stylish models, improved Sense features, and most importantly with increased speed and power. Later in the year they acquired a controlling stake in Beats by Dr. Dre, a popular new headphone lifestyle product to provide much better style and audio experience from their devices. In keeping in its effort to deliver all of the above, they’ve launched three new products during its 2011 Year-End Party. The new HTCs are the Explorer, Rhyme, and Radar – two Androids & a Windows Phone. The HTC Explorer is the new entry-level variant in the selection, which was designed specifically for first-time Android users. The new Sense 3.5 implemented onto the device effectively makes the phone easier to use for new users. It comes with a 600Mhz processor, 3.2” 320×480 screen, 3.2MP camera, 480p video recording, and the usual smartphone connectivity options all running under Android 2.3 Gingerbread with HTC’s Sense customizations. There will also be inter-changeable rear covers for the Explorer, which will be available from their stores separately. When asked, an HTC spokesperson said that the Explorer isn’t meant to succeed the Wildfire S – an earlier entry-level variant – but complement it as the choice meant for first-time Android users. You can pick up an Explorer right now for an SRP of PHP 11,900, with a lowest street price of about PHP 10,300. The HTC Rhyme is the new stylish, accessory-rich Android device. It comes with a slew of new accessories inside the box – including a new tangle-free headset, a charging dock, and an attachable charm that alerts you about notifications. (There’s other optional accessories you can buy as well.) The phone itself is similar in spec to the already-popular Desire S – as both come with a 1Ghz processor, 3.7” 800×480 resolution screen, 5MP camera with LED flash, 720p video recording, VGA front facing camera, and of course GPS, WiFi, and other connectivity options. It does, however differ slightly to the Desire S in its design cues and upgraded Sense 3.5 software. The included accessories, especially the notification Charm, is said to be designed for women’s handbags – where you could tie the charm outside your bag and easily see if you have new messages, while also being able to find the phone by tugging on the cord. 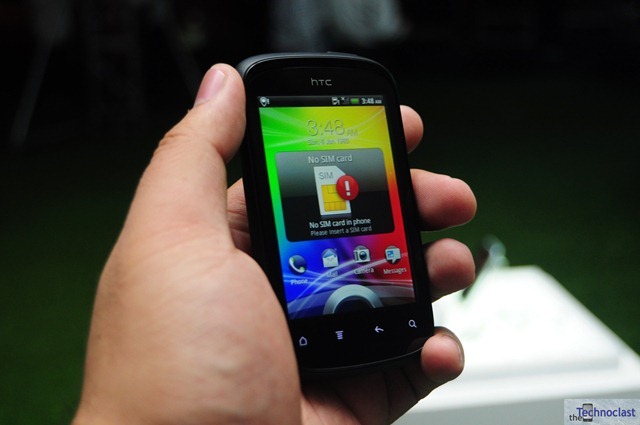 The HTC Rhyme is available now for an SRP of PHP 25,000 – street price of about PHP 20,800. 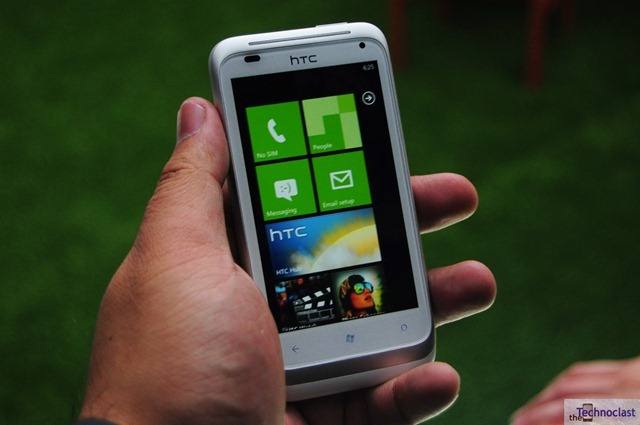 Last but certainly not least, is the new HTC Radar – the Taiwanese company’s new Windows Phone 7.5 device. WP7.5 is a new update to Windows Phone called Mango that delivers a lot of new features and improvements to the already sleek and powerful mobile OS. HTC have also improved its camera quite a fair bit – giving it an f2.2 lens and a Backside Illuminated CMOS sensor. The Radar features a 1Ghz processor, 3.8” 800×480 resolution screen, 5MP Camera with LED flash, 720p video recording, VGA front facing camera, plus GPS, WiFi, Bluetooth, etc. It comes with 8GB onboard storage, but doesn’t have the SD card expansion option. Other enhancements include new panorama modes and burst shooting in the camera app, solidifying its place as a venerable cameraphone. 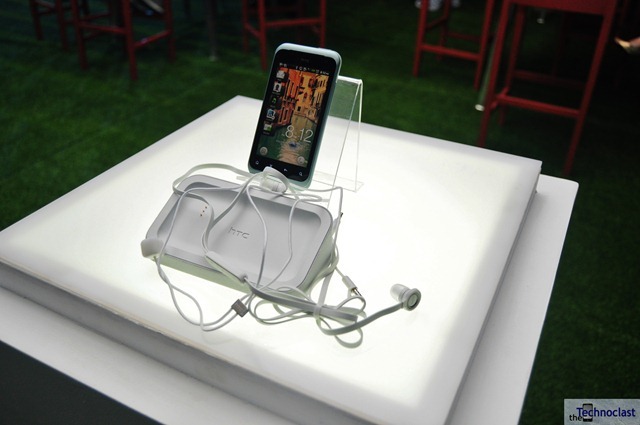 The HTC Radar is available now for an SRP of PHP 21,500 – with a street price of about PHP 18,200. Whether you’re a newcomer to Android smartphones, looking for some stylish accessories to come with your device, or you just want a good camera on your phone, HTC has something for you this 2012 and beyond. So check them out at your nearest HTC retailers. Happy New Year!